Two state-owned Chinese companies including China Grain Reserves Corp (Sinograin) and China National Cereals, Oils and Foodstuffs Corporation (COFCO) on Tuesday purchased an estimated 1.5 million mt of soybeans from the US, according to market sources. This latest purchase puts the total quality acquired by China to 3 million mt of soybeans since the G20 summit in Buenos Aires. The sale was made by eight suppliers with a total of 20-25 Panamax cargoes sold, according to market participants. All cargoes are to be shipped during Q1 2019. Chinese stated-owned buyers have paid between 140-145 cents/bushel over Chicago Soybeans Futures March (H) contract ($389.76/mt-$391.60/mt), according to traders. Similar to the last purchase, the soybeans are expected to go into the state reserve instead of going to the free market. 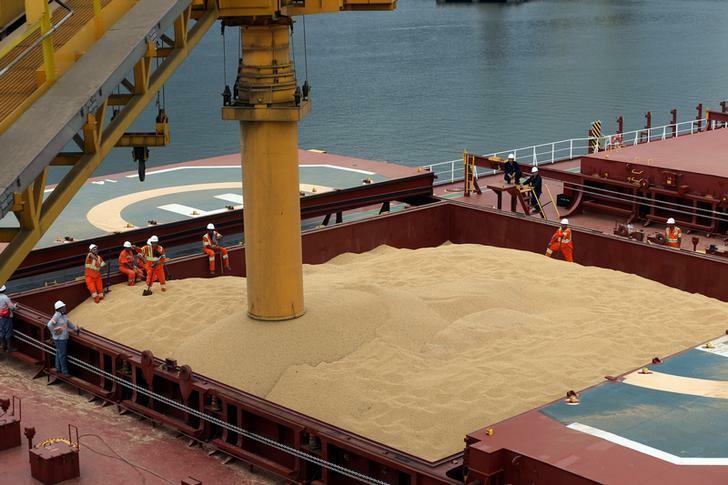 “These soybeans bought by China would be stored for national security and it would not circulate into the market at this moment,” a trader said.